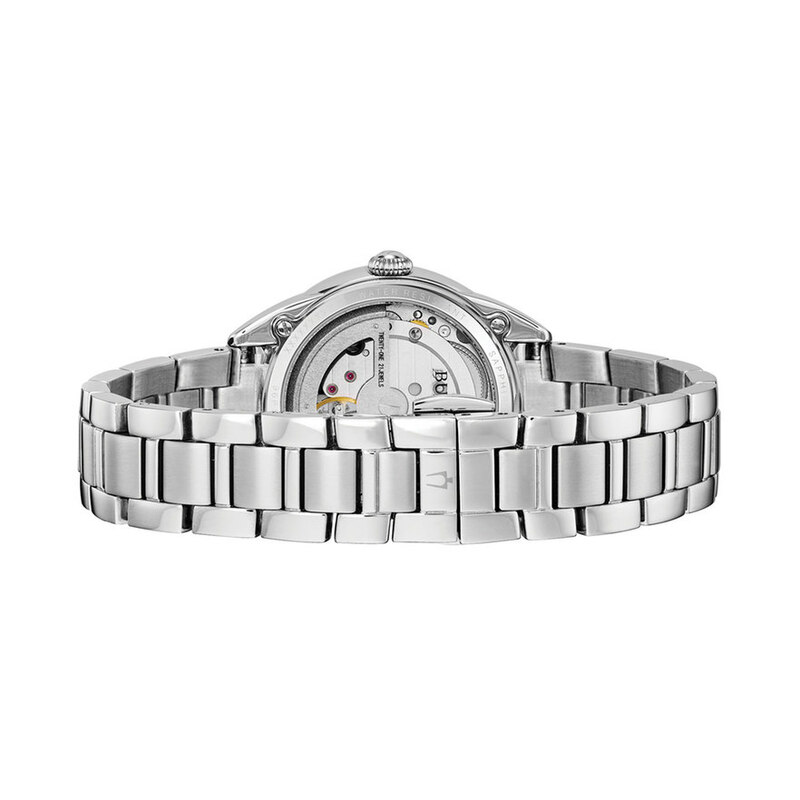 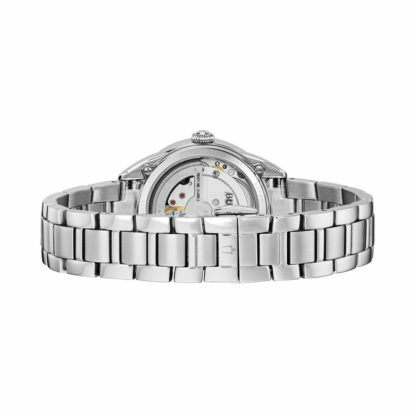 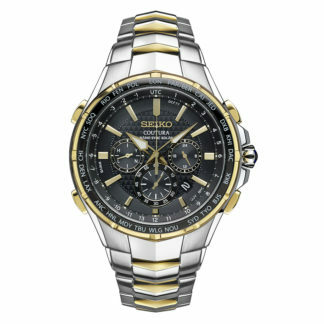 Bulova Women's Diamond Automatic 96P191 – From the Ladies’ Classic Collection. 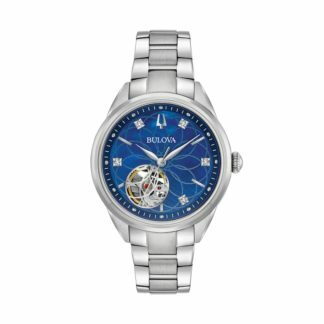 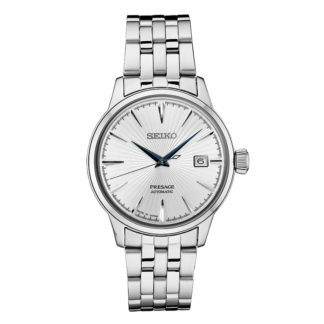 New Automatic in stainless steel with 5 diamonds individually hand set on blue dial with open aperture, exhibition caseback, automatic heart-beat movement with 40-hour power reserve, domed sapphire crystal, stainless steel bracelet with double-press deployant closure, and water resistance to 30 meters. 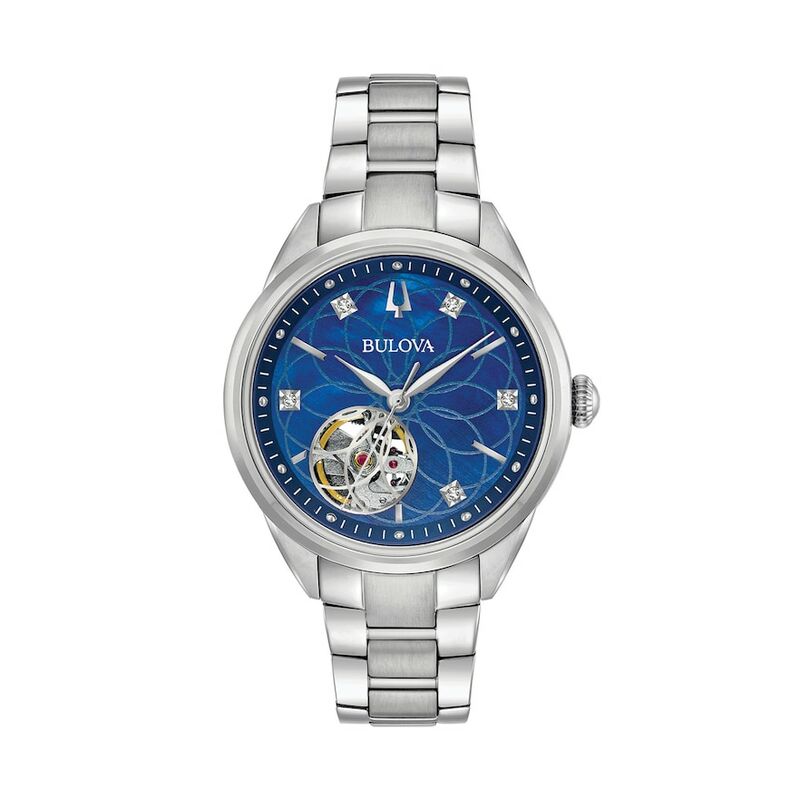 Bulova Women’s Diamond Automatic 96P191 – From the Ladies’ Classic Collection. 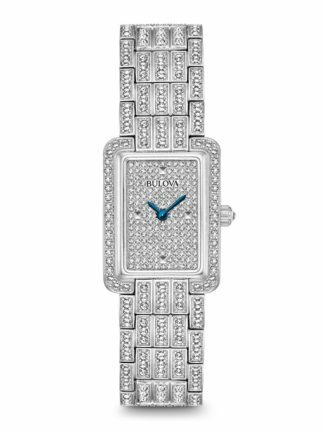 New Automatic in stainless steel with 5 diamonds individually hand set on blue dial with open aperture, exhibition caseback, automatic heart-beat movement with 40-hour power reserve, domed sapphire crystal, stainless steel bracelet with double-press deployant closure, and water resistance to 30 meters.